It features a black round dial, 5ATM/50m Water resistance. Metal strap. Stainless steel back cover. High precision quartz analogue movement. Redefine your casual style by wearing this classy analogue watch by Fastrack. Awesome watch. Great dial and strap with a stylish look. Good quality. 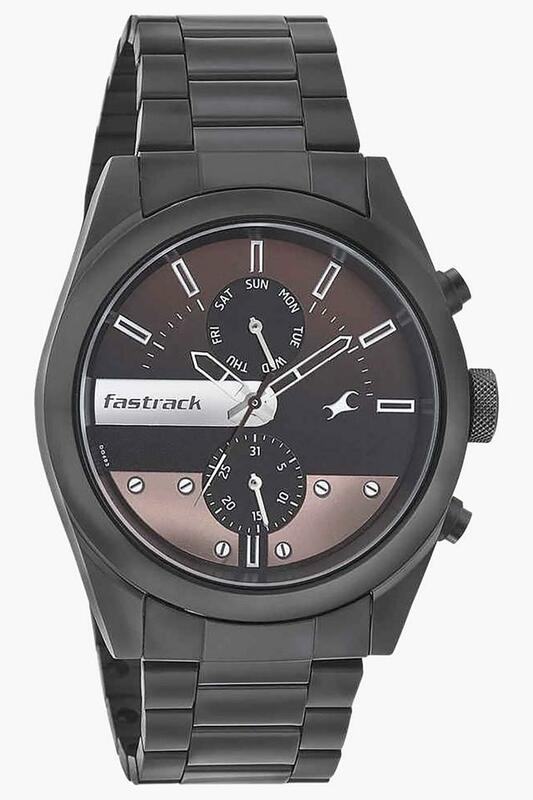 That's why I love Fastrack.